I always thought that the opening riff of Derek and the Dominos’ “Layla” was one of the most simple and beautiful things in rock ’n’ roll, so I wasn’t too thrilled when I first heard Clapton’s lounge-style, Unplugged version of the song, with that sweet lick deleted. Millions of people didn’t seem to mind the desecration of “Layla”, though, and they scooped up Unplugged by the shipload, provoking subsequent “unplugged” releases by Mariah Carey, Arrested Development, Eddie Money, and, most recently, Rod Stewart. Now I’m wincing along to an acoustic version of “Hot Legs”, which I only liked in the first place for its raunchy electric guitar! And does anyone really want to hear an “unplugged” version of the Faces’ riff-driven rave-up, “Stay With Me”? 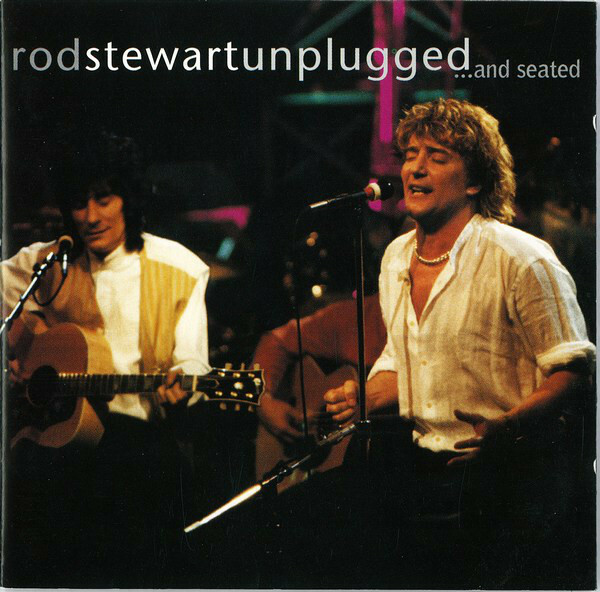 Fortunately for Stewart, several of his non-rocking tunes (“Mandolin Wind”, “Handbags and Gladrags”) suit the acoustic arena, but I still think we should band together to defeat this “unplugged” menace before it takes control and Stratocasters are banished from the earth forever.